I spoke at the Sioux Falls 1 Million Cups event last week about my investing newsletter business, Analyst Ratings Network. 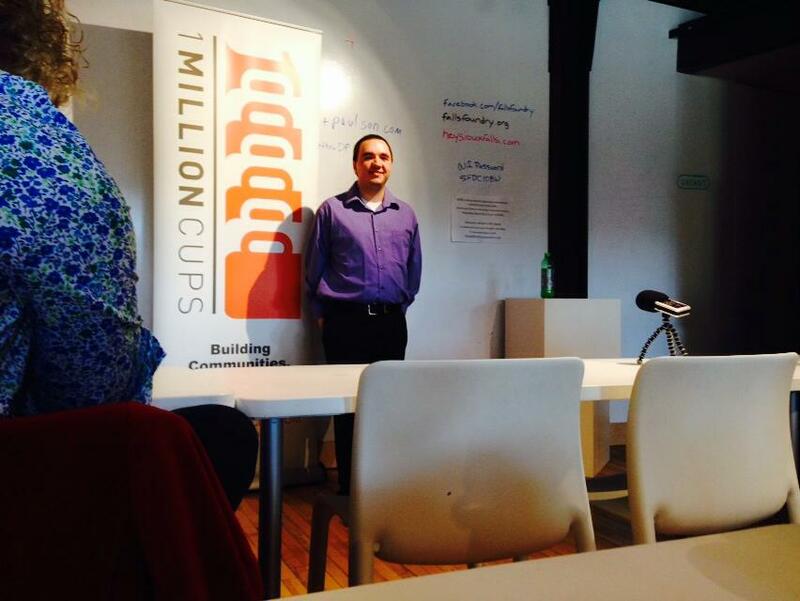 During 1 Million Cups events, the speaker has the opportunity to speak about their company for six minutes and the audience has the opportunity to ask questions for twenty minutes. During my talk, I discussed the creation my business, its business model and its growth. I also took questions from the audience about my business and living an entrepreneurial life. Hi. My name is Matthew Paulson. My startup is called Analyst Ratings Network, which I started in January 2011. Prior to this, I had built a successful investing news website called American Banking and Market News, which did quite well. At the time, we were getting more than 1 million page views per month, but we really only had one customer–Google. They sent us traffic and we sent traffic back to Google advertisers via the AdSense program. Of course, this works great as long as they keep sending you traffic, but as every SEO in the world has learned in the last two years, the flow of traffic can get shut off at any moment. So, I realized that if I was going to have a business that is sustainable for the long term, I would need to have actual customers that were buying products or services from my company on a regular basis. 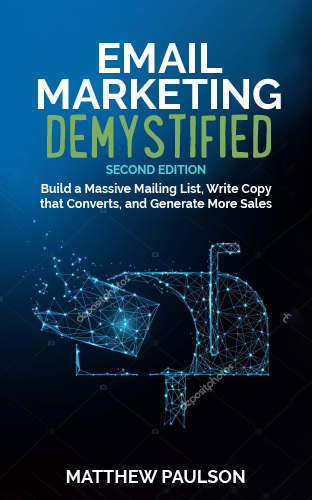 At the time, I wasn’t quite sure what I was going to sell to my audience, but I knew I needed a way to contact my readership base other than hoping they’d come back to my website at some point in the future. In other words, I needed an email list. So I took the type of news that we were particularly good a reporting on, which is equities research, and created a free daily newsletter called ARN Daily that contained a summary of all of the research notes that stock brokers put out on a daily basis. I had already developed a software system that automatically compiles ratings on a daily basis into a database for reporting purposes, so it was pretty easy to take that data and generate a fresh newsletter and automatically send it out every morning to our subscribers. ARN Daily ended up getting quite a bit of initial traction. It turns out that retail investors tend to get emotionally invested in their stocks and want to know the latest tidbits and headlines about them. My company was able to take some of those tidbits and provide them in a convenient, real-time format. After about six months of running the newsletter, it had about 10,000 subscribers. I was also getting requests to change the format of the newsletter, add some different data, send it earlier in the day, etc. So I took all of the feedback that I had received and made a premium version of the newsletter and called it ARN Daily Premium. With the premium newsletter, subscribers will get the newsletter earlier in the day, they can get SMS or email alerts for their stocks, have some more customizability for the newsletter and can setup a watch list of their stocks to get more information about the companies they’re interested in. When I launched the newsletter, I only sold about 30 subscriptions that first month. It was not a big success, but it wasn’t a total failure either. To be honest, I didn’t really know what I was doing at the time. I didn’t know how to properly market the newsletter and I didn’t have the premium product where it needed to be yet. At the end of 2011, I had about 100 subscribers. Analyst Ratings Network really started to gain traction in 2012. I was able to grow the traffic to my network of financial news websites. I was able to improve the opt-in rates to my newsletter by using a lightbox popup and doing a number of split tests to optimize the opt-in forms. I launched a piece of investment research software called RatingDB, which basically just gives people access to our database of ratings and provides performance rankings of individual analysts that rate stocks. I started accepting credit cards instead of just PayPal, which made a significant difference as well. By the end of 2012, we had about 800 subscribers. Last year, we were able to capitalize in the improvements made in 2012. I made a series of additional improvements to the newsletter and launched a new version of our RatingsDB research software. We published a research guide called the Trader’s Guide to Equities Research and made use of several new marketing channels including Twitter cashtags, Stocktwits and co-registration advertising. As of today, there are approximately 85,000 people subscribed to the free email and 1,800 people that are subscribed to one or more of my premium product at $10 to $15.00 a month each. My network of financial news websites got 2.4 million page views in the month of February. So, that’s kind of where we’re at today. We have some big ambitions for 2014 including an advertising deal that could potentially be very large and we’ll be launching new versions of all of our products as well.